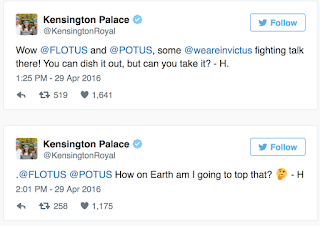 On Friday, the Obamas and Prince Harry talked a lot of smack about the 2016 Invictus Games on Twitter, and it was hilarious. The Invictus Games, which begins next week in Orlando, is an international sporting event started by Prince Harry to provide a competitive outlet for wounded, injured and sick service members and veterans. This year, 15 nations will reportedly compete in the games, including 500 participants who will compete in 10 events. 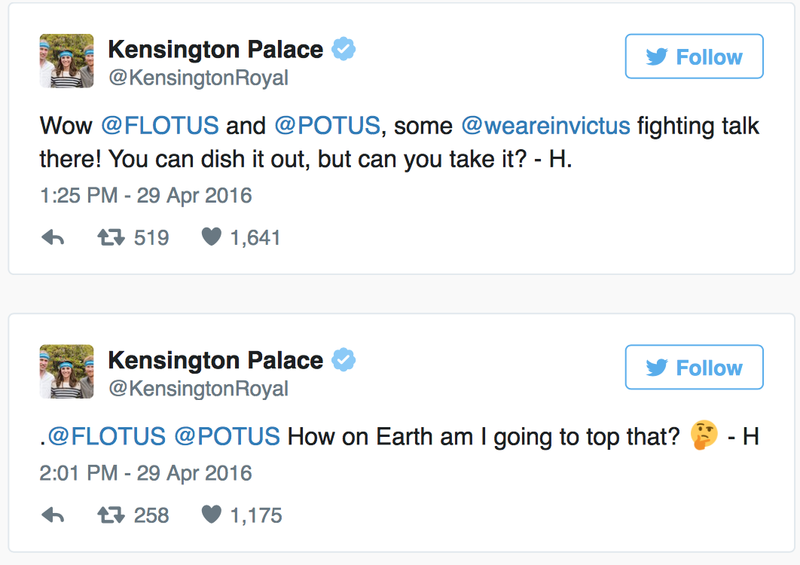 The Obamas are apparently feeling really competitive about all of this, which is why they started tweeting directly at Prince Harry. 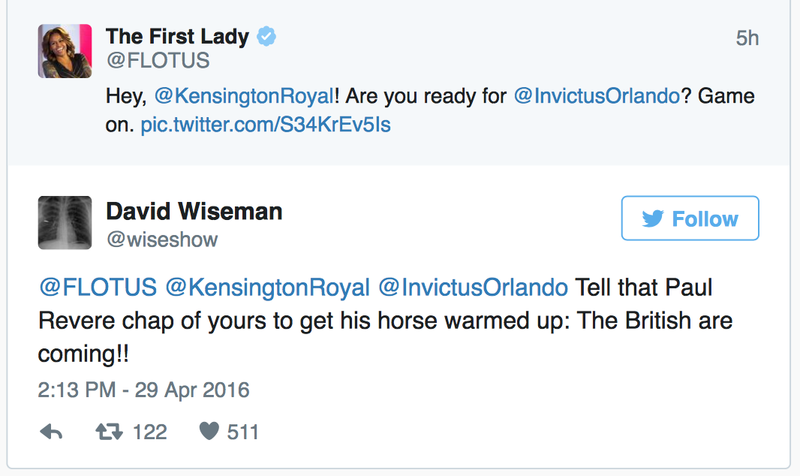 Hey, Prince Harry ‘member when you told us to bring it at the Invictus Games? But Prince Harry didn’t take this lying down. He then posted a video of his own, with a very special guest. 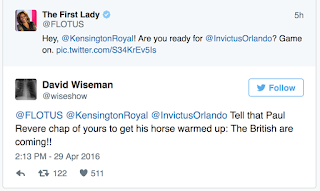 The captain for the UK team at the Invictus Games also joined in with an excellent and amusing historical reference.